Nikon Coolpix 3200 Manual is aimed to fulfill the needs toward information of both technical or instrumental issue among this digital camera product especially for Nikon Coolpix 3200. Nikon Coolpix 3200 offers 3.2 effective Megapixel CCD, each with Nikon’s well-known Nikkor lens. The Graphic User Interface (GUI) displays easy-to-see menus on a bright and large 1.6-in. TFT LCD monitor for instant review of images. All controls are placed on the back of the camera for convenient access. Coolpix 3200 cameras is compatible with a wide range of rechargeable and disposable batteries, including alkaline batteries. When Nikon Coolpix 3200 was firstly released to the market? How much the price when Nikon Coolpix 3200 firstly released? Nikon Coolpix 3200 is for the more experienced users looking for a digital camera with comfortable handling and easy operation. It was announced on January 28, 2004. In the first release, The Nikon Coolpix 3200 pricing set at $279.95 body only. Now, if you’re interested to own this compact digital camera device, you can get it in several online stores by paying $14.00 for Nikon Coolpix 3200 3.2MP Digital Camera with 3x Optical Zoom (OLD MODEL) of the used products. 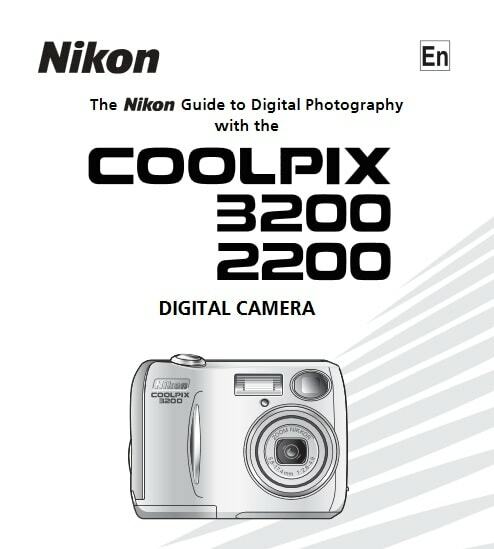 Feel free to download the nikon coolpix 3200 manual user guide at below.